City planners have been talking about Complete Streets for awhile now. I half expected it to go the way of the Transit First Policy wave that swept California and the U.S. a decade ago; that is to say, a lot of talk, many well-intentioned policies, but mostly business as usual for transportation priorities. I am pleased to say that I think this one is really taking hold. San Francisco has been at the forefront of this trend with the preparation of the Better Streets Plan, which despite lack of a capital improvement program or implementation actions, has been used very effectively by the San Francisco Municipal Transportation Agency (MTA) to exact improvements from developers and assure that city-funded/built roadway projects comply with best practices for accommodating transit, bicycles and pedestrians. • “The Department views all transportation improvements as opportunities to improve safety, access, and mobility for all travelers in California and recognizes bicycle, pedestrian, and transit modes as integral elements of the transportation system. Despite its progress, Caltrans is primarily an organization focused on moving vehicles. That is not a judgment statement. It is a fact. Caltrans’ primary mission is to maintain and operate freeway and local highways throughout California. On the operations side, it is something Caltrans is quite good at doing. But Caltrans has a different set of objectives than local governments when it comes to some California State Routes (SR), particularly those that are urban arterials: Caltrans wants to move people efficiently; local jurisdictions often want economic return. Although Caltrans is becoming more flexible, the fact that their objectives frequently differ from local objectives will perpetuate conflicts on arterial state routes like 19th Avenue (SR 92), El Camino Real (SR 82) and San Pablo Avenue (SR 123). The best-case scenario for these roads is that Caltrans relinquish them to local control. Caltrans is receptive to this idea. The problem has been that locals frequently don’t want control; not because they wouldn’t like to have more control, but because with control comes the responsibility to maintain and operate, which is expensive. Relinquishment of arterial state routes should be a key state priority, not only because of its potential to improve conditions for transit, bicycles and pedestrians, but because it will allow Caltrans to focus on what they do well at a lower cost to taxpayers. Relinquishment could also be an economic development tool if the state were to incentivize locals accepting responsibility for state routes. California has been through, and is continuing along a path, of reducing its state budget. In the first three quarters of the 2010/2011 fiscal year, the state has seen increases in income tax collections (fourth quarter data not yet released). As the state recovers from the recession, we will reach a point when state revenue exceeds expenses. A portion of the surplus could be used to implement a buy-out program, whereby Caltrans pays locals to take responsibility for state routes. In order for locals to be receptive, this one-time money would need to cover operating expenses for several years, maybe a decade. And that gets to be enough money that the funds, rather than being banked for future operations and maintenance, could be invested in making the streets more economically productive such that the incremental property and sales tax generated from the roads could off-set on-going operations and maintenance costs. There is already strong proof that investments in streetscape and transit enhancements, when paired with zoning regulations that permit transit-supportive densities, can result in private-sector investment in the adjacent properties, which increases property tax and potentially sales tax revenues to cities. It is worth noting that the proposed update to the HDM is an improvement, but has flaws. The SFCTA prepared a letter to Caltrans with a very thorough review of the draft and point-by-point suggestions for changes that would improve it further. A very promising draft update of Caltrans’ Main Streets: Flexibility in Design & Operations is in the works. When completed (later this year?) it will be a useful arrow in the quiver of livable streets advocates, although it won’t help with the funding issue. 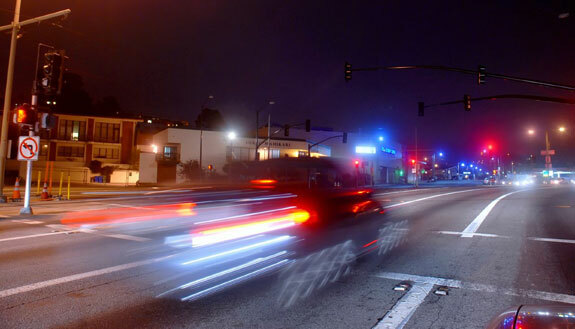 Let’s not forget Hwy 35, otherwise known as Sloat Blvd and Skyline Blvd, mostly bordered by park land. This overly wide high speed roadway could be a key link in better connecting our non motorized population to Stern Grove, Lake Merced, the Zoo, and GGNRA. Correction: Nineteenth Avenue is SR 1. Some others: SR 13, Tunnel Road and Ashby Avenue in Berkeley, and SR 61 in Alameda/San Leandro; SR 185 International Blvd in Oakland. Most of these are legacy highways that have been replaced by parallel freeways SR 82 / US 101, SR 123 / I-80, SR 185 / I-880, or they are legacies of plans for freeways that were never buildt SR 61, SR 13. SR 1 is a state highway that runs from Los Angeles to Mendocino County. I would suggest that the stretch of 19th Avenue from I-280 to the Golden Gate Bridge be put underground or boulevarded, as that is a major highway that connects Marin County to the Peninsula.